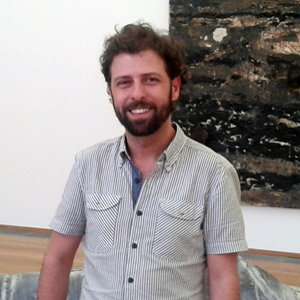 Ivo Mesquita (Brazil) has been technical director of the Pinacoteca do Estado de São Paulo since May 2012 and was chief curator at the same institution between 2006 and 2012. He was researcher and assistant curator at the São Paulo Biennial Foundation for eight years, co-curator of the 20th and 24th Bienal de São Paulo and chief curator of the 28th. He was visiting professor for eleven years at the Center for Curatorial Studies, Bard College, in New York, and Director of the Museum of Modern Art in São Paulo (1999). As an independent curator, he has contributed to projects for various international institutions and was the curator of the Brazilian Pavilion at the 1999 and 2009 Venice biennales and one of the curators of the binational InSite’97 and 2000 projects, in Tijuana, Mexico. Peter Osborne (England) is Professor of Modern European Philosophy and Director of the Centre for Research in Modern European Philosophy (CRMEP), Kingston University London, and editor of the British journal Radical Philosophy. He was the co-curator of the lecture series making up the Norwegian Representation at the Venice Biennale, 2011. His catalogue essays include contributions to Manifesta 5, Tate Modern, Biennale of Sydney, among other important institutions and cultural events. His books include The Politics of Time: Modernity and Avant-Garde (1995; 2011), Philosophy in Cultural Theory (2000), Conceptual Art (2002) and, most recently, Anywhere or Not at All: Philosophy of Contemporary Art (Verso, 2013). 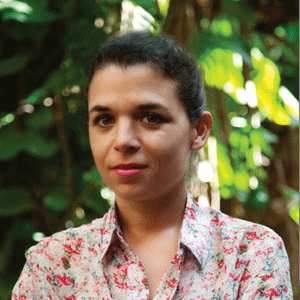 Ana Gonçalves Magalhães (Brazil) has been a teacher and curator at the University of São Paulo’s Museum of Contemporary Art (MAC-USP) since 2008. She has a Master’s degree in History of Art and Culture at State University of Campinas (UNICAMP) and a Doctorate in Art History and Art Criticism at the School of Arts and Communication’s Department of Plastic Arts at the University of São Paulo (ECA – USP). Her thesis was published in 2000, by Editora Pontes, under the title Claude Monet: A Canoa e a Ponte and a text on her research about the French artist Edgar Degas was published for the catalogue accompanying an exhibition by this artist, in Rome, Italy. During 2001, she advised the Campinas Secretary for Culture, Sport and Tourism, when she was outreach coordinator for the city’s museums. She was editorial coordinator of the São Paulo Biennial Foundation between 2001 and 2008, and she was also assistant curator of the 26th Bienal de São Paulo and the person responsible for the production of catalogues of Brazilian representatives in Venice. 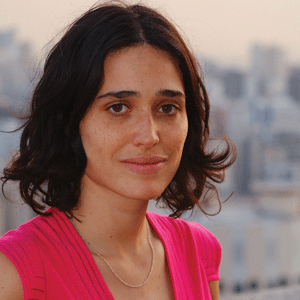 Ana Paula Cohen (Brazil) is the co-director of PIESP, an independent program for artists and curators in São Paulo, and director of the project Embodied Archeology of Architecture and Landscape (Tel Aviv, 2012-2013; São Paulo, 2014-2016). She has been a visiting professor at the California College of the Arts, San Francisco, since 2011. 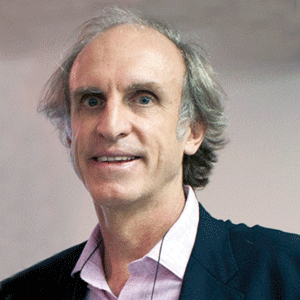 In 2008, Cohen was the co-curator for the 28th Bienal de São Paulo, alongside Ivo Mesquita in 2008. 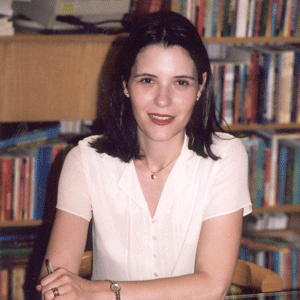 In 2009/2010, she was the curator-in-residence at the Center for Curatorial Studies – Bard College, NY. She has also worked as an assistant curator at the Museum of Modern Art in São Paulo (2000-2002), and at the Kunstverein München, in Munich, Germany. Cohen has written for several art publications, concerning the work of artists such as Goldin & Senneby, Gabriel Sierra, Mabe Bethônico, Detanicolain, Renata Lucas and Cildo Meireles. 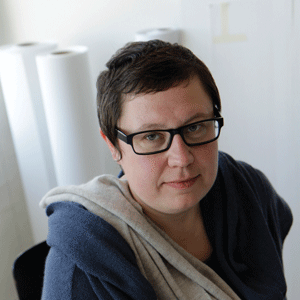 Anne Szefer Karlsen (Norway) Szefer Karlsen was the curator for Lofoten International Art Festival – LIAF 2013, in Norway, and Associate Curator for Biennale Bénin 2012. Between June 2008 and June 2014 she was the Director of Hordaland Art Centre in Bergen, Norway, where she curated several exhibitions and seminars, as well as further developed its residency programme and introduced artists such as Omer Fast, Renata Lucas, Len Lye and Imre Bukta by curating their first solo exhibitions in Norway. She also initiated and is still the Series Editor of Dublett – a book series of twin publications consisting of a new artist book by and an anthology of commissioned texts on contemporary artists. 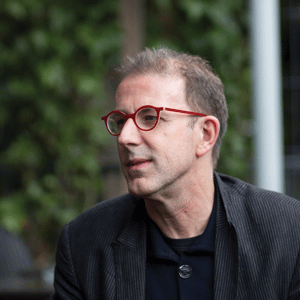 Anthony Gardner (Australia/ England) is Associate Professor of Contemporary Art History and Theory at the University of Oxford, where he is also the Director of Graduate Studies at the Ruskin School of Art. Prior to working at Oxford, Anthony was the Mellon Postdoctoral Fellow at the Courtauld Institute of Art, London, in 2010-11, working with Boris Groys and Sarah Wilson on the project Global Conceptualism, and an Australian Research Council Postdoctoral Fellow at the University of Melbourne, Australia. He writes extensively on postcolonialism, postsocialism and exhibition and curatorial histories, and among his own books are Mapping South: Journeys in South-South Cultural Relations and Intimate Publics: Art in the Asia-Pacific. 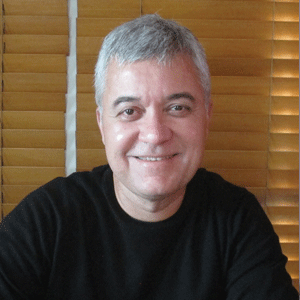 Cayo Honorato (Brazil) is a researcher of cultural mediations on the conjunctions and disjunctions between the arts and education. He is a professor at the University of Brasília’s Institute of Arts in the Department of Visual Arts. He holds a Doctorate in Education and Philosophy from the University of São Paulo and he is also active in the extra-institutional mediation group, working with social networks. 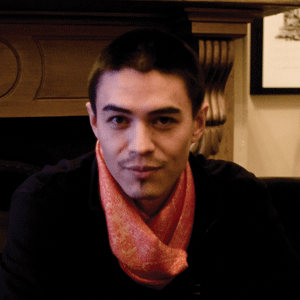 David Teh (Singapore/Australia) is a writer, curator, art advisor and researcher based at the National University of Singapore, specialising in Southeast Asian contemporary art. 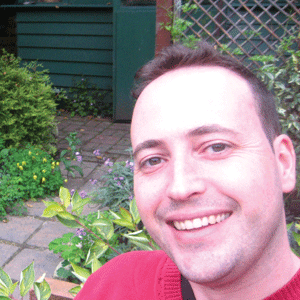 After receiving his PhD in critical theory from the University of Sydney, David worked as an independent curator and critic in Bangkok (2005-09). More recently he was co-curator of the 55. Internationale Kurzfilmtage Oberhausen, Germany and the convenor of Video Vortex #7, in Indonesia, 2011. His latest exhibition, TRANSMISSION, is on show at the Jim Thompson Art Center, Bangkok through September 2014. He is currently working on a book about Thai contemporary art, tentatively entitled Present Tense. David is also a director of Future Perfect, a new gallery and project platform in Singapore’s Gillman Barracks precinct. Elvira Dyangani Ose (Spain/Equatorial Guinea) is Lecturer in Visual Cultures at Goldsmiths, University of London, and curator of the eighth edition of the Göteborg International Biennial for Contemporary Art, (GIBCA), in 2015. She was Curator International Art at Tate Modern between 2011 and beginning of 2014. At Tate, she took a leading role in developing the museum’s holdings of art from Africa and its Diaspora and working closely with the Africa Acquisitions Committee. Prior to Tate, she was curator at the Centro Atlántico de Arte Moderno (2004–2006) and at the Centro Andaluz de Arte Contemporáneo (2006–2008), where she organized several exhibitions including works by, among others, General Idea, Viennese Actionism, Alfredo Jaar, Lara Almárcegui, Ábalos & Herreros and Ricardo Basbaum. She was also the guest curator of the Triennial SUD-Salon Urbain de Douala (2010), in Cameroon, and the Artistic Director of the third edition of the Rencontres Picha. Lubumbashi Biennial (2013), in Congo. Fernando Oliva (Brazil) is a researcher, doctoral candidate in Art History at ECA-USP, university teacher at FAAP and curator. He took part in the team that produced the 3rd Bahia Biennale- É Tudo Nordeste? and acted as curator of the exhibitions Batalhão de Telegrafistas (Galeria Jaqueline Martins, 2014), O Retorno da Coleção Tamagni – Até as Estrelas por Caminhos Difíceis (MAM-SP, 2012), Cover = Reencenação + Repetição (MAM-SP, 2008), Comunismo da Forma (Galeria Vermelho, 2007) and À Chinesa/À la Chinoise (Microwave, Hong Kong, 2007). Fabio Cypriano (Brazil) holds a Ph.D. in Communications and Semiotics from the Pontific Catholic University of São Paulo (PUC-SP); his dissertation was about the German choreographer Pina Bausch, in view of which he lived for three years in Berlin, Germany (1997-2000). Professor at PUC-SP since 1995, he teaches undergraduate and graduate courses on Art: History, Critique, Curatorship and Journalism. Presently, he is the coordinator of the graduation degree in Art: History, Critique and Curatorship. Art critic and reporter to the Folha de S. Paulo newspaper since 2000, he writes for many other national publications such as ARTE! Brasileiros and international publications such as Connaissance des Artes (France), Frieze (England), Flash Art International (Italy), The Art Newspaper (England) and Atlantica (Spain). He wrote Pina Bausch (Cosac Naify publishers, 2005), among others. He has participated as jury member in various salons and awards, and written monographs about artists such as Joseph Beuys, João Tabarra, Rosângela Rennó and Amilcar Packer, to name a few. Manuela Moscoso (Ecuador/Brazil) is a curator who mostly emphasizes speculative thinking and actions in order to privilege imagination. Whether organizing exhibitions, commissioning or initiating projects, she sees collaboration intrinsic to her practice. Moscoso was the adjunct curator of the 12th Bienal de Cuenca, in Ecuador, and she has recently curated exhibitions in Brazil, Argentina, Spain and United States. Together with Amilcar Packer she runs Typewriter, a curatorial program center in art writing, and together with Sarah Demeuse she created Rivet, a curatorial office investigating notions of deployment, circulation, exercise and resonance. Marina Fokidis (Greece) is the founding and artistic director of Kunsthalle Athena, which has been presenting several exhibitions, workshops performances and talks since 2010, i.e. This is Not My Beautiful House and This Must Be the Place. Since 2012 she is also the founding director of South as a State of Mind, a bi-annual art and culture publication, and since 2013 she is an adjunct curator in Schwarz foundation – Art Space Pythagorion. From 2000 to 2008 she served as the co-director of Oxymoron a non-profit organization dedicated to the promotion of contemporary visual art in Greece and on an international level. 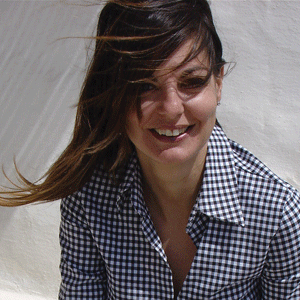 Marina Fokidis has been recently appointed Head of Artistic Office Athens for documenta 14 (2017). In 2011, she was one of the curators of the 3rd Thessaloniki Biennial and she has been the commissioner and the curator of the Greek Pavilion at the 51rst Venice Biennial (2003) and one of the curators of the 1st Tirana Biennial (2001). 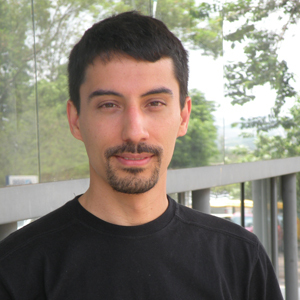 Martin Grossmann (Brazil) has been director of the University of São Paulo’s (USP) Institute of Advanced Studies since March 2012. 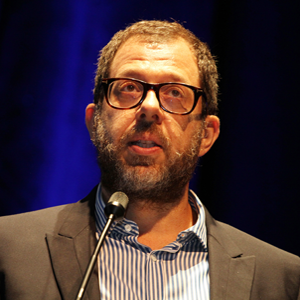 He was director of the São Paulo Cultural Center between 2006 and 2010 and deputy director of the USP’s Museum of Contemporary Art (MAC) from 1998 to 2002. 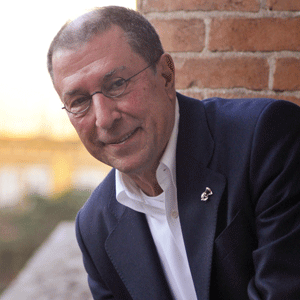 He is a founder member and coordinator of the Permanent Forum: Art Museums, between Public and Private, a platform for cultural activities and mediation. He holds a degree in Plastic Arts from the Armando Álvares Penteado Foundation (Faap), and a Master’s and Doctorate from the University of Liverpool, in the UK. He has been focusing his research on the transition from a material to a virtual culture and has created and coordinated the USP’s first Internet portal (USP Online), between 1995 and 1998. Moacir dos Anjos (Brazil) has worked as a researcher with Fundação Joaquim Nabuco since 1990, where he coordinates, since 2009, the exhibition program Politics of Art. He served as director of Museu de Arte Moderna Aloisio Magalhães (MAMAM) in Recife from 2001 to 2006. He was a visiting research fellow at the Transnational Art, Identity and Nation (TrAIN) research center of the University of the Arts, London, in 2008 and 2009. He was the curator of the Brazilian Pavilion (Artur Barrio) at the 54th Venice Biennale (2011), of the 29th Bienal de São Paulo (2010), of the 30th Panorama da Arte Brasileira (2007) at Museu de Arte Moderna de São Paulo, and co-curator of the 6th Mercosul Bienal (2007) in Porto Alegre. His published books include Local/Global: arte em trânsito (Zahar, 2005) and ArteBra Crítica (Automática, 2010). 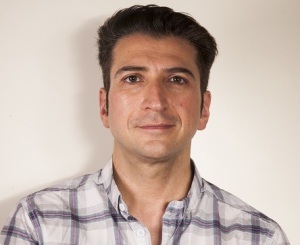 Övül Durmusoglu (Turkey / Germany) is the Public Programming Curator for the Moving Museum Istanbul and is working on a long-term research project to take place between Mexico and Turkey. In 2013, she was the curator of the international contemporary art festival Sofia Contemporary, in Bulgaria, titled Near, Closer, Together: Exercises for a Common Ground. She organized different programs and events as a Goethe Institute fellow at Maybe Education and Public Programs for dOCUMENTA (13). Durmusoglu was among the curatorial collaborators of 13th Istanbul Biennial in 2013 as well. 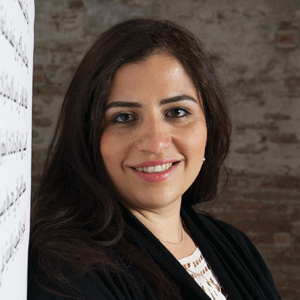 Reem Fadda (Palestine) is currently Associate Curator, Middle Eastern Art, Abu Dhabi Project, Solomon R. Guggenheim since 2010 and was appointed curator for the National Pavilion of the United Arab Emirates at the 55th International Art Exhibition – La Biennale di Venezia in 2013. Between 2005-07, Fadda was Director of the Palestinian Association for Contemporary Art (PACA) and worked as Academic Director to the International Academy of Art – Palestine, which she helped found in 2006. She co-curated and had been involved in many projects such as: Liminal Spaces, in Palestine, Israel & Germany; Ramallah Syndrome, part of the Palestine c/o Venice exhibition at the 53rd Venice Biennale in 2009; and the 3rd Riwaq Biennale in Ramallah, in 2009. She is a member of the general assembly of the International Academy of Art, the selection jury of the Young Arab Theatre Fund. Ugochukwu-Smooth C. Nzewi (Nigeria/USA) is an artist, art historian, and curator of African art at the Hood Museum of Art, Dartmouth College, Hanover, USA. He holds a B.A. in Fine and Applied Arts from the University of Nigeria Nsukka, a postgraduate diploma in Museum and Heritage Studies from the University of Western Cape, South Africa, and a PhD in Art History from Emory University, Atlanta, Georgia. Nzewi curated the Afrika Heritage Biennial in Nigeria (2004/2007), Transitions: Contemporary South African Works on Paper at the High Museum of Art, Atlanta, USA (2009), and he co-curated the 11th Dak’Art Biennial (2014). His recent writings: The Individual and Community: Aesthetics of Blackness in the works of three Black British Artists, Critical Interventions, No. 12 (2013), and The Contemporary Present and Modernist Past in Postcolonial African Art, World Art, Issue 3, No. 2 (2013). He is co-editor of New Spaces for Negotiating Art (and) Histories (forthcoming), a book on independent art initiatives in Africa. 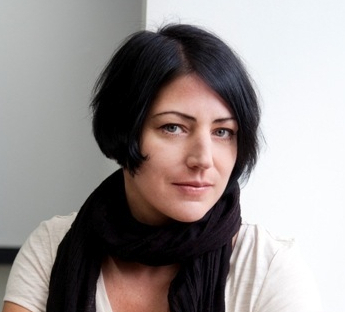 Eva Scharrer (Germany) is a freelance curator and critic, currently based in Berlin. Since 2014 she is working for the Neuer Berliner Kunstverein, among others as researcher on an upcoming archival exhibition about the curatorial practice of René Block. From 2009 to 2012 she was agent, curatorial researcher and writer for dOCUMENTA (13). In 2007 she was Co-curator of the 8th Sharjah Biennial, Still Life. Art, Ecology and the Politics of Change, in the United Arab Emirates. She has curated exhibitions in Germany and Switzerland, most recently To Paint is to Love Again (2013) at the Deutsche Bank Kunsthalle in Berlin. She has written various catalogue essays on renowned and emerging artists and has been a regular contributor to international contemporary art journals such as Artforum and artforum.com, Frieze d/e, Spike Art, Modern Painters, Kunst-Bulletin, C Magazine, and /100 vonhundert. Yvette Mutumba (Germany) is the Research Curator for Africa at the Weltkulturen Museum, Frankfurt am Main. Mutumba is co-founder of the Online-Magazine Contemporary And (C&) – Platform for International Art from African Perspectives. She studied Art History and History at the Freie Universität in Berlin and holds a PhD from Birkbeck, University of London. Her dissertation focused on the (re)presentation of art from Africa and the Diaspora in the German context. Mutumba co-curated, advised projects and published numerous texts dealing with issues concerning visual arts from African perspectives as well as with questions regarding the current state of ethnographic collections. 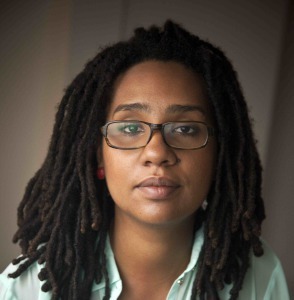 Suzana Sousa (Angola) is a curator and writer. This year, she co-curated Sights and Sounds, Global film and Video at The Jewish Museum, New York, Tipo Passe, a solo show of photographer Edson Chagas, in Luanda, and Noise, a group exhibition of African artists focused on the fast urbanization and the local responses to it. She was curatorial adviser for the New Museum 2015 Triennial. In 2012, she co-curated with Fernando Alvim and Simon Njami No Fly Zone, a group show of Angolan artists at Museu Berardo, Lisbon. Sousa has contributed to Contemporary&; Art+Auctions; ArtSouthAfrica Magazine and Arterial Network/ Arts in Africa and is currently developing the cultural collective Pés Descalços with a group of Angolan independent minds. 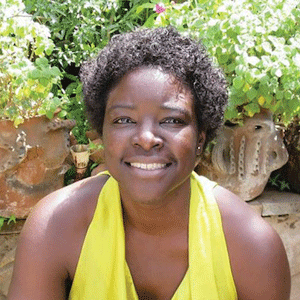 She is co-curator of the upcoming Luanda Triennale (2015). Alya Sebti (Morocco/Germany) is an independent curator, artistic director of the 5th Marrakech Biennale (2014), and co-curator for Mons 2015, European Capital of Culture. She curated several exhibitions in Northern Africa and Europe: Youssef Nabil: you Never Left (Casablanca 2011), the Moroccan pavilion at the Photography Biennale (Amsterdam 2012), Of Other Spaces Casablanca / Amsterdam 2013, and Equilibres / Augleisch, Berlin, Gallery Wentrup 2014. From 2012 to 2014, she initiated with Arte East a cycle of online exhibitions on contemporary art in Morocco, Algeria, and Tunisia. 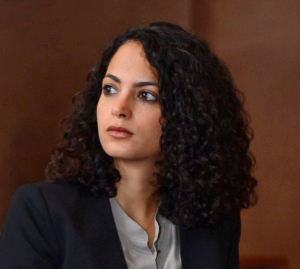 Her latest publications include: Pas de Deux, Villa Romana (February 2014); POSITION Social Changes through Art in the Arab World, (2014). She is a board member of the International Biennial Association and a consultant on visual art and cultural initiatives in North Africa. Combiz Mousavi-Aghdam (Iran) is a researcher in the field of modern art history, philosophy of art and science, and contemporary Iranian art. He received his doctorate degree in Art History and Visual Studies at Manchester University in 2009. He is currently teaching as a lecturer at Tehran Art University, as well as researching at the Biennial Committee of the upcoming Tehran Biennial 2015. One of his main concerns in both his teaching and his research is to articulate new methods of art history and the ways they could be applicable in Iranian context today. Mousavi-Aghdam has written several articles, including Art History, National Art and Iranian Intellectuals in the 1960s in 2014 and Self as Other: Artist-Ethnographer in Contemporary Iranian Art in 2012. 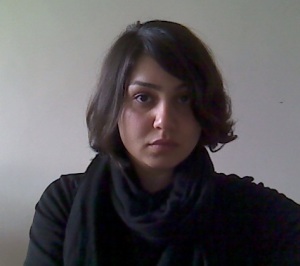 Azar Mahmoudian (Iran) is an independent curator and critic based in Tehran and has received her MA in Contemporary Art Theory from Goldsmiths, University of London in 2009. 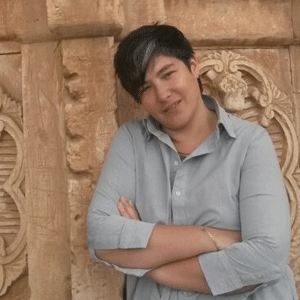 She lectures in critics and comparative art history at Tehran Art University, and is currently researching at the Biennial Committee of the upcoming Tehran Biennial 2015. Azar was a 2014 Fellow of Global Art Forum 8, Dubai and has curated various exhibitions and screening programs internationally, including programs for Cultuurcentrum Bruges; CAB, Brussels; SOAS, London; Blackwood Gallery and SAVAC, Toronto. 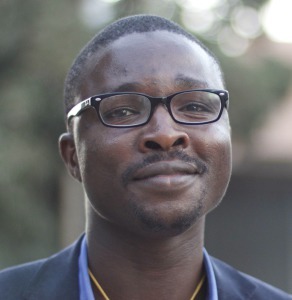 Patrick Mudekereza (Congo) is a writer and cultural operator based in Lubumbashi. 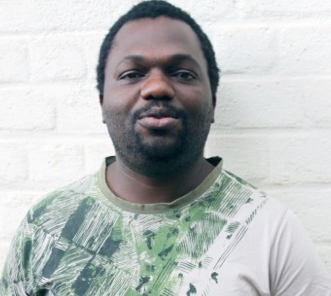 He co-founded and runs the Picha Art Center in Lubumbashi and he is director of Rencontres Picha, the Lubumbashi Biennial. After studying Industrial Chemistry at the Polytechnic Faculty of the University of Lubumbashi, he worked as an administrator and as a curator for visual arts at the French Cultural Centre in Lubumbashi. He initiated several art projects, a.o. the artists’ collective Vicanos Club. He is editor of the cultural magazine Nzenze and wrote for many publications and exhibitions both nationally and abroad. He is member of the Steering Committee of Arterial Network (2009-2014). In 2014 he received the National Award for Arts and Culture from the Congolese Ministry of Culture. He is a board member of the International Biennial Association. 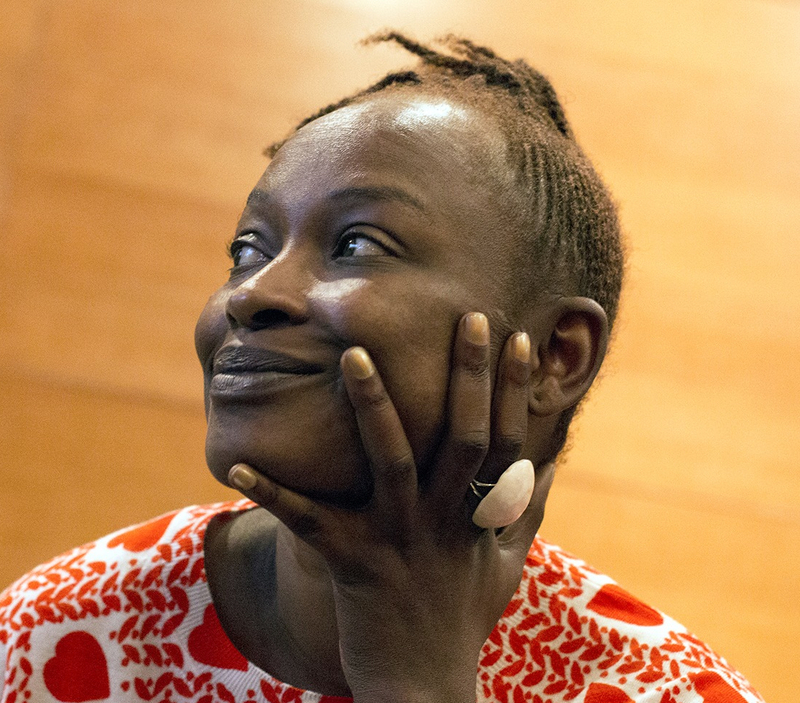 Koyo Kouoh (Cameroon/Senegal) is the founding artistic director of RAW Material Company, a center for art, knowledge and society, in Dakar, and the curator of FORUM, the education programme at 1:54 Contemporary African Art Fair in London. 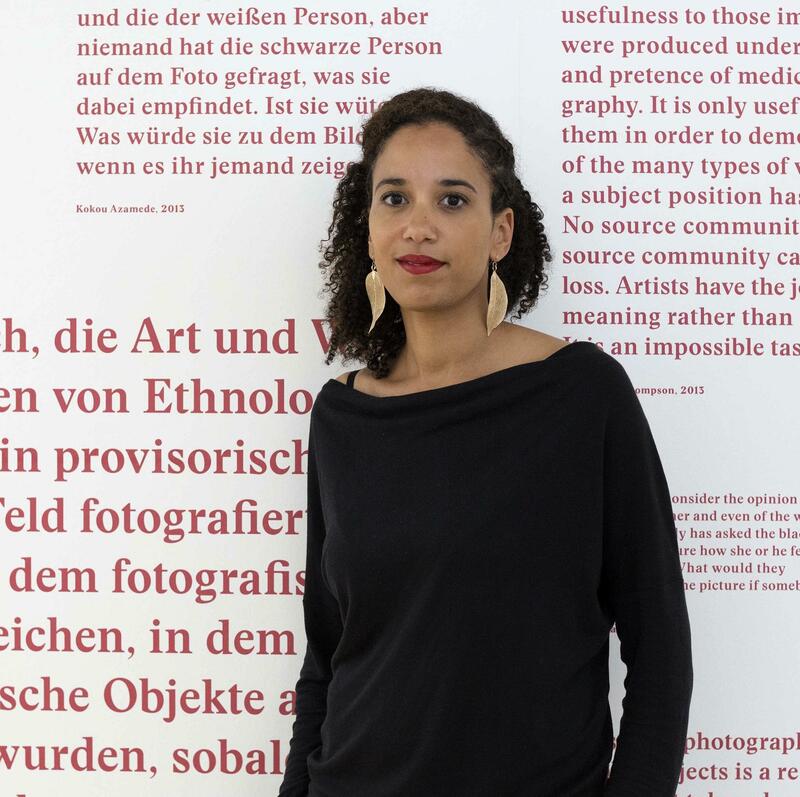 She served as curatorial advisor for documenta 12 and 13, co-curated the biennial Les Rencontres de la Photographie Africaine in Bamako in 2001 and 2003 as well as collaborated in different capacities with the Dakar Biennial (2000-2004). In 2014, she was entrusted by the EU Delegation in Senegal and the Senegalese Ministry of Culture with the development of a reform for the Dakar Biennial. Her recent projects include Condition Report on Building Art Institutions in Africa, a collection of essays resulting from the eponymous symposium held in Dakar in January 2012, Word!Word?Word! Issa Samb and the undecipherable form, (Raw Material Company/OCA/Sternberg Press, 2013).